Last summer we complained about the rain and it looks like this summer we're going to be griping about the heat. I suppose that's human nature. One thing's for sure, if the past few days have been an indication of things to come, the sale of white wine is assured. As I mentioned in a previous blog, Ontario is a cool climate viticultural area. The Niagara Region is just above 43 degrees north latitudinal band. We share similar growing conditions to southern Germany. What this means is that we can grown and produce exceptional white grapes that will in turn make lively and refreshing white wines. When it comes to whites, Riesling and Chardonnay are the two main varieties that excel here. In their shadows, you can find Gewürztraminer with some great Pinot Gris/Grigio and Pinot Blanc. If you're looking for something to chill for these summer days, you can't go wrong with the above-mentioned as most wineries do good if not exceptional varietal or blends. When Sauvignon Blanc is done right, it is easily distinguished from other whites. Sauvignon Blancs around the world are known for their grassy, herbaceous, green fruit, gooseberry and sometimes 'tomcat' aromas and flavours (the latter often referred to as 'cat's pee'). It is grown throughout both the Old and New Worlds. In France look no further than the Loire Valley: Sancerre and Pouilly-Fumé are the two best place to start learning about Sauvignon Blanc. The whites are definitely herbal but the former's whites have a unique smoky mineral quality while the latter are known for their 'flint'. In Bordeaux, the grape is typically blended with Sémillon to make white Bordeaux and high-priced sweet Sauternes and affordable Barsac. Speaking of Bordeaux, it is interesting to note that DNA profiling has revealed Sauvignon Blanc and Cabernet Franc to be the noble parents of the great red variety, Cabernet Sauvignon. Apparently back in the 18th century, these two vines spontaneously crossed somewhere in the region to create the most popular red grape in the world. Sauvignon Blanc is also important to New Zealand's wine industry. In the 1970s, Cloudy Bay Sauvignon Blanc sparked a revolution on the international market and the entire country has reaped the benefits since. Today it is the most-widely planted variety in the country with Chardonnay a distant second. 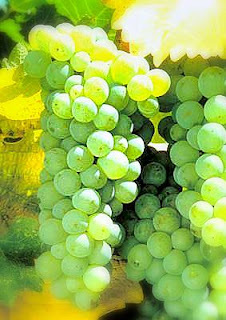 In the Casablanca Valley along the Pacific coast in central Chile, the white grape does especially well. In South African you can find excellent varietal Sauv Blancs from Stellenbosch. In California, the white wine is lightly oaked giving the herbal component a softy creamy-toast character. Last year when I went wandering the wine route, I gravitated towards Riesling and Chardonnay. I tried the occasional Sauvignon Blanc here and there, stopping at wineries in both NOTL and Jordan/Beamsville but found the varietals wanting. The acidity didn't seem as bright as the best of France or New Zealand. The grassiness was quite sad in a few instances and the structures of most were a bit wobbly. I had really given up on Canadian Sauv. Blanc. Then yesterday, while out buying wedding gifts, I happened on a few excellent Sauvignon Blancs from two interesting wineries. First, I have to mention Creekside and No.99 are actually sister companies. Creekside came into being in 1998 when Peter Jansen and Laura McCain-Jensen, newly returned from a honeymoon/wine tour in California bought V.P. Cellars, a languishing winery on 4th Avenue. 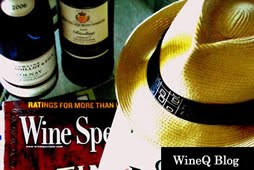 In June 2007, Monique Beech in the Niagara Falls Blog (she now writes for the St.Catharines Standard) announced the Great One would be opening a winery in Niagara. The location was not disclosed at the time but it turned out to be the former Willow Heights Winery at 3751 King St. in Vineland. The two wineries are in partnership and share both the land and winemakers. If you're looking for a tour, please call up Creekside as the Gretzky facility is not yet set up to accommodate eager wine students. Both locations have restaurants. I wouldn't say Sauvignon Blanc has the same potential here in Niagara as Riesling or Chardonnay but with innovation and care, it can be unique. Take the No.99 Wayne Gretzky Estate Series 2007 Sauvignon Blanc. I mentioned that Sauv. Blanc is lightly oaked in California (they call it Fumé Blanc). This wine has the herbs, the grass but also a lovely gooseberry character. The wine is a combination of both barrel and stainless steel fermentation and you'll find a light, creamy texture to the wine that is no way intrusive but intriguing. $18.95 and available through the winery or on-line wine buying sites. For those that want a beautiful, zesty, green fruit gooseberry and grapefruit summer sipper, I highly recommend the Creekside Estate 2008 Sauvignon Blanc at $13.95 (winery and LCBO). A wonderful white, it's delicate but lively and a great wine to reach for after being out in the sun. 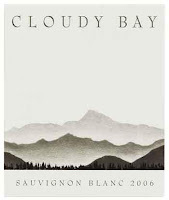 Creekside Estate also offers a Reserve 2007 Sauvignon Blanc ($26.95). Again, if you like the idea of the Gretzky lightly-oaked Sauv., then this one might be for you. The wine was rated 4 1/2 stars out of 5 by Rick VanSickle, wine writer for the St.Catharines Standard and is a Gold Medal winner at both Cuveé 2010 and the Ontario Wine Awards 2009. The wine is bigger with the tropical fruit and gooseberry notes turned up in volume. It isn't as grassy as the Estate series offering but if you can imagine a grapefruit gently dipped in whipped cream, then this is your wine. Overall, these varietal are ideal on their own or with a side salad. With the Reserve from Creekside, however, I would pair it with a creamy Alfredo pasta. Crisp white wines like Sauvignon Blanc are also excellent with fried foods so if you need something to sip with your fish and chips, look no further this summer. Why do strong men fatigue themselves with dumbbells? To dig a vineyard is a worthier exercise. Spain is a fascinating country. A 19th century travel writer once described it as a 'bundle of units tied together by a rope of sand'. Even if we look at Spain's history, we see how true this statement is. Ancient settlers, many of whom came from the continent of Africa to Europe once called the country Iberia for its many rivers. The Greeks who arrived shortly thereafter named this arid land of solemn deserts, rugged, white mountains and wilderness, Hesperus, or 'the land of the sunsets'. For the many men and women in the centuries of Homer, Hesiod, Pindar and Plato, the country we know as Spain was once the western border of the known world. The Carthaginians saw it differently. While exploring this beautiful country of sunsets, they found it inhabited with numerous rabbits so they called it Espana - their word for our furry, carrot crunching friend. The Romans followed fast - they came, saw and conquered (you know the deal) and took from their defeated enemies this particular name and since then, Espana or Spain has stayed with us. With the fall of Rome, the Visigoths had their day in the sun and in the region of Spain, the remaining Roman legions simply could not defend the land against the stronger invading barbarians. The conquerors, however were conquered themselves. There is a fascinating legend that one Visigoth king ignored a certain ritual of his predecessors. For many years, a tower was routinely locked. Seven kings had successively put seven locks on the tower door. The eighth king, Roderick, decided to satisfy his curiosity. He had the locks broken and the door opened. What he found proved surprising. On the inside walls of the tower were pictures of marauding horseman with strange swords. In the centre of the room, a golden vase with a scroll. The scroll simply read that whosoever broke the locks of the tower would be destroyed by the men depicted on the surroundings walls. In 711 B.C. a man named al-Tariq lead a vast force of 7000 men across the Strait separating Spain from Africa. The man would lend his name to the rock - Gibralatar or mountain (gebel) of Tariq. Roderick was defeated in 712. For nearly 800 years, the region of Spain and especially south Spain would be known as al-Andalus or 'Land of the Vandals' (i.e. Visigoths). The majority of southern Spanish architecture was heavily inspired by the Moorish invaders. The Spanish language too was shaped by the Arabic and for us English speakers, the influence trickles down. Alcove, alabaster, alchemy, alcohol - all come from the Arabic. In terms of wine, the Moors of al-Anadalus were relatively lax. They allowed the conquered Christians to grow grapes. In those days, the Eucharist was a fundamental ritual in the church. Fun-loving Muslims would often visit these houses of God the way modern wine drinkers today visit a wine bar.They didn't so much partake of the Eucharist but joyfully sample the goods grown in the vineyards. If that doesn't suggest their easy relationship with wine one can look at the poetry of the time which is laden with wine references. After the Moors came the Christians or really a disjointed but... unified band of Christians. Between 711 and 1492 we find a lot of internal strife and struggle in Muslim Spain. As I mentioned, there was a laxness with the ruling Moors. Those followers of Islam in Africa that objected to the artistic and sometimes decadent culture of Al-Anadalus tried to rectify the situation by crossing over Gibralatar and taking over. There were numerous conflicts of rule within the different factions and the small but determined Christian tribes of the wet north found ways of taking advantage, gaining strength in numbers and pitting their enemies against each other. In the 15th century, the last of the Moors were ousted from rule and new Spanish leaders took over. Speaking of the 15th century, it was apparently the architecture of this time that the winemakers of an excellent Calatayud wine, Manga del Brujo are paying homage to. Before I go any further, I have to mention that Calatayud is located in north-eastern Spain. It is approximately 100km south of Rioja and is known for its fairly high terrain (800 metres above sea level). The countryside is planted with fruit trees (many of which are peach) and vineyards. Of the wine grapes grown, Garnacha is the mainstay taking up 65% of the vineyard. The vines are low-yielding and old vine. Tempranillo, Syrah and Monastrell are also present but don't command the same space and attention. In the time of the Romans, the region boasted a thriving population and acted as a staging post for the legions. The sardonic and sarcastic epigramist Martial was born here. But we actually get the name Calatayud from the Moors. It is a corruption of Qualat Ayub or Castle of Ayub (Job). I love history and I love how it can interweave through our drinking experience. It is one thing to appreciate a wine on the sensory level, I find it more thrilling to take the tasting to a new level by looking at the world it hails from. I also love how the winemaker is honoring the history of the region. The old world, the old buildings, and the old vines all coming together. The wine has a weight, a density that may have inspired winemaker Norrel Robertson MW to find a co-relation with the buildings of Papa Luna. The Garnacha used for this wine lends a robust, dark fruit component. I also find a lovely brown-sugar, tobacco compote element on the palate with hints of black pepper. The wine is definitely rich, lush and seductive and at $15.95 in your Vintages section at the LCBO, it will become a highlight for dinner conversation. And if you can bring up the history and connect it the dark liquid in your glass - well, all the better. Johnston, Hugh, The Story of Wine. Mitchell Beazley, London, 2004. Years ago I attended a blind tasting of fine wines put on by a collector. There were wines from all over the world, many of them cellared for ten years and up (I was surprised to find how complex and intriguing a D'Arenberg Shiraz/Grenache blend could be after a decade). Of the reds, there was one special wine that kept evolving in leaps and bounds within my glass. At first, the fruit came forward - lush and lively strawberry. After a few swirls, the cinnamon and nutmeg started to come out. Another swirl and I found myself breathing in tobacco, saddle leather and a seductive herbal note I couldn't quite name but the mystery intrigued me. I would have sworn the wine was an aged Chianti - the light red fruit, the dusty baking spice and cedar. Throughout the hour I had with the wine, it kept going and going, becoming more complex, more fascinating. At the end, when the bottles were revealed I found out no, it wasn't an Italian wine but a red Rioja from Central-Eastern Spain! A Rioja Gran Reserve from 1993 to be exact. A wine that had seen over ten years in a bottle. I was blown away. If the wine was a person, I would have stayed up all night and listened to its stories. Trying and tasting fine, aged wines can be a rare and wonderful experience for both the novice and experienced connoisseur alike. Many of us buy a wine and uncork (or un-cap it) within 24 hours of our purchase. It's just the way things go. But when we are given the opportunity to taste a wine that has seen years, if not decades in a bottle, our perception of wine can dramatically change. After fermentation, when the new wines are transferred from one vat to another to age, time is the only way to bring everything together. Without the passing of time, the red and whites we consume at our dinner tables, on our patios, with our friends and family would be disjointed, harsh and cloudy. Even after bottling, a wine still needs more time. But once it's supposedly ready (no wine is truly ready because it will be always changing) it's up to the consumer to decide when to pop and pour. For whites like Sauvignon Blanc, Chenin Blanc, Pinot Grigio, and Viognier, it's usually best to buy and drink as soon as possible. For some young reds, usually the producer recommends ready consumption; others say hold off but who can? For wines in a higher price age, wine drinkers need to consult experts on when to pour. Sometimes we'll never know the right moment to open a wine. Most of the wines we buy for parties and for easy going get-togethers are fairly young. Wouldn't it be great to bring something unique to the table? With this in mind, I highly recommend a spectacular if not beautiful find at the LCBO: 'Cautivo' 2005 Crianza from Bodegas Heredad De Baroja from Elvillar de Alava. North of the town of Logrono and the River Ebro and just south of the rugged Cordillera Cantábrica (Cantabrian Mountains) lies the Rioja sub-zone of Alavesa. The climate is comparatively cool compared to the rest of Rioja and sees more rain than Rioja Alta and Rioja Baja to the south. Within Rioja Alavesa is Elvillar, a wine area protected by the cool, damp winds of the Atlantic by the mountains. The soil is fairly chalky made of calcareous clay. For those that have tried Rioja, the wines of the region are some of the lightest but have the most finesse. Fernando Meruelo started his bodega in 1964. He remains the current owner and is continually determined to select the best grapes for his wine. The wines of "Cautivo" line are the ones ready for everyday consumption beginning with a Blanco (using the Viura grape - a.k.a Macabeo) and ending with a Reserva and Gran Reserva (both using Tempranillo). Available at the LCBO is the "Cautivo" 2005 Crianza, made from 100% Tempranillo. A Crianza in Spain is a wine that has been aged for at least two years, typically six months of which has seen time in small American oak casks. A Joven is young and may or may not have seen time in oak. A Reserva (which is just above Crianza) is aged for three years with a minimum of one year and oak; a Gran Reserva has been aged five years with at least two years in wood and three in bottle. I highly recommend the Crianza. The grapes were picked in 2005, the wines were aged in oak and then bottled and further aged. 2005 was an exceptional year in Spain (rated 'E' for 'Excellente') and with the 'Cautivo' you can tell. There is a strong strawberry character but with time and age, you will discover another world. Tobacco, leather, barnyard with just a hint of cinnamon from the American oak. The wine's bouquet, however, continues to evolve and becomes more seductive and fine as the minutes go by. Again, time is a luxury and if you're pressed to find something unique and rewarding, I highly recommend this beautiful wine. At $13.95 it brings wonderful value to any wine consuming occasion and would pair well with light meat dishes and traditional Spanish paella. In a previous blog I recommended a notable Pinot Blanc from Konzelmann. I also mentioned the grape variety hales from Alsace in North-Eastern France on the German border. Considering we're on the "border" of summer with spring still dragging its feet, I feel it's time to be prepared for the warmer weather and get to know some of the greater white wines of the Niagara Region. For those beginner wine lovers in southern Ontario, it's essential to note that despite the humid months of July and August, we live in what's considered a cool climate viticultural area. If you look at a map of the world, the majority of wine growing countries fall between 50 degrees and 30 degrees North and 30 degrees and 50 degrees South latitude. Ontario's three main viticultural areas (Lake Erie North Shore, Niagara Peninsula and Prince Edward County - just outside of Toronto) all fall in between 41 and 44 degrees North latitude (the Okanagan Valley in B.C. is just shy of 50 degrees). Alsace in France is also considered a cooler climate lying between 47 and 49 degrees North latitude. Here in the Niagara Peninsula we have the Escarpment acting as a buffer for the on-shore winds from Lake Ontario. This green, southern series of bluffs creates a circular air flow which helps to blow away fog and mist and reduce the threat of damaging frost in the early spring. In Alsace, the Vosges mountain range protects the region from westerly, rain-bearing winds. While Alsace is one of the driest wine regions of France, along with Roussillon (just north of the Pyrennes), Loraine, which lies west of the Vosges is the wettest. The soil in Ontario's vineyards range from Glacial till (mix of clay, silt, sand, gravel), Clay Loam, Sandy Loam (found near Lake Ontario) to Silty Clay (mostly around the Escarpment benches). The vineyards of Alsace have been described as a 'checkerboard of soil types' including chalk (mixed with clay), limestone, granite, schist, volcanic rock sediment and sandston along with Alsace's pinkish-coloured sandstone which has become known as grès de Vosges (often used as a building material for local cathedrals). Despite all the technical stuff, the two regions have some nice things in common, namely their easy to read labels and aromatic whites. Pinot Blanc or Weisburgunder, Pinot Gris or Grauburgunder, Riesling, Muscat and Gewürztraminer are perhaps the most famous white varieties of Alsace (the latter four considered the four 'noble' varieties suitable for making the Grand Cru wines of the region). Of the five mentioned, Gewürztraminer (ge-VURZ-trah-MEAN-er) is the tongue twister, the one the majority of wine lovers have the most trouble pronouncing. Gewürz is actually a German word (big surprise, right?) for spice. Traminer or Tramin, a town in Alto Adige in Northern Italy and is thought to be the place where the grape first originated. So really, the name means "spicy grape from Tramin". In parts of Germany and Austria the variety is known as Clevner (which is easier to pronounce, if you ask me). Styles of Gewürz (the abbreviated form is understood and used quite often) range from light and floral to viscous and rich. Italian Gewurztraminer - mainly known as Traminer - is traditionally closer to Pinot Grigio in body with notes of strawberry and white flowers. In Alsace, you typically find lychee, pink grapefruit and rose water. In Ontario, so far many of the wineries I've seen with Gewürztraminer vines are aiming to produce the French style. Some are successful but I find most fall just a tad short of the mark. I can highly recommend Featherstone out in Vineland for an excellent rosewater/lychee Gewürztraminer. For those looking for the lush Alsatian style, Jackson Trigg's two Gewürztraminer offerings. WHAT DO YOU PREFER - PINK OR WHITE GRAPEFRUIT? While visiting the winery today, the young trainee behind the tasting bar, Laura said she really enjoyed the Grand Proprietor's Reserve 2007 Gewürztraminer. I have to say, I first tried the 2007 Riesling (a nice apple petrol touch) and 2008 Chardonnay (buttery with notes of toffee and apple pie), then went on to try Laura's recommendation. I was very impressed. For just about nineteen dollars, you can enjoy the lychees, the grapefruit and roses with an additional round, plump honey melon element. The acidity could be a bit brighter but that's just it, Gewürztraminer is not traditionally known for its zesty quality - unlike Sauvignon Blanc and Pinot Grigio. The viscous body, however, makes the wine so seductive and exotic. An excellent value and comparable to the offerings of Alsace. I can also recommend the Delaine Vineyard 2007 Gewürztraminer which has more of a white grapefruit, orange rind, rose and floral feel. It's also gorgeous but it all comes down to your palate and your preferences. Both wines would be perfectly paired with spicy dishes - Indian, Thai and Vietnamese. Tonight, I had my Grand Proprietor's Reserve with Pad Thai. Excellent wines but the only thing is I have a hard time recommending the winery namely because of Jackson Triggs' Cellared in Canada (CIC) wines. Clark, Oz, 2009 Pocket Wine Guide. Harcourt Publishing, Orlando, 2008. Fielden, Christopher, Exploring the World of Wine and Spirits. WSET: London, 2005. Yesterday, my step-brother, his girlfriend and I wandered out into Niagara-on-the-Lake to do some white wine tasting. We had drank heavily the night before but surprisingly, after six shots of Cognac and three glasses of wine, I didn't feel the hurt (actually, I was at the gym around 10 am so maybe wine is truly 100% good for me). We headed to Cattail Creek (highly recommend their Rieslings and Chardonnay), Hillebrand (their Sauvignon Blanc is the closest to a California Fume) and Konzelmann. For white wines, Konzelmann is a must and with spring here and summer poking its head, they make some of the best patio sippers in Niagara. I always buy something at Konzelmann. Along with Chateau des Charmes, Inniskillin and Reif, you can't beat the great value these wineries offer. Jeremy served us at Konzelmann and we had a great time mispronouncing all the wine names. Mer-lot,.Pee-not Blank. Cab-er-net Sav-ig-non. But he knows his wine and he brought out a bottle of their 2008 Pinot Blanc. He mentioned the wine had been getting some excellent press and that a prestigious restaurant in New York City were selling them at $38.00/bottle. I had to try it. For those getting into wine and looking to move beyond Pinot Grigio and Chardonnay, Pinot Blanc is one of the main grapes grown in Alsace and throughout Southern German where it is known as Weisburgunder (pronounced vice-ber-gunder). Whereas Pinot Grigio and Pinot Gris can have a metallic and often oily-apple character, I find Pinot Blanc tend to lean towards white flower and stone fruits. Konzelmann's 2008 Pinot Blanc is perhaps one of the most impressive whites I've had in a long time. The nose is lovely with an apricot-honey aura and on the palate, there are peaches, lemon, pear with just a hint of mineral. The acidity is just right, not too tart, not too flat and the finish is bright and tangy. I bought a bottle (along with their Shiraz - another must) and early this evening cracked it open after the rain. The sun is out now and I'm still sipping this wine. For just over a eleven dollars a bottle, it is well worth the trip to Konzelmann or your local LCBO. You would be hard pressed to find a wine from Alsace with the same character at the same price. An ideal wine with mussels and oysters, seafood dishes and white pizza (especially with Kalamata olives and artichokes). I'm sure this wine won't be around once the word gets out.